This trip is all about experiences, some more famous or popular than others. For example, if you embark on a trip to Japan you will have many people asking about the Bullet Trains (Shinkansen). But putting China and trains in the same sentence you think of another kind of train experience. Overnight trains, Trans-Siberian, train to Lhasa. High speed trains generally don’t spring to mind. But, as we entered Beijing on the Trans-Mongolian train back in November 2013, we passed a gleaming station, brand new and filled with these amazing looking trains. Bright white, sleek and curved, they looked good. 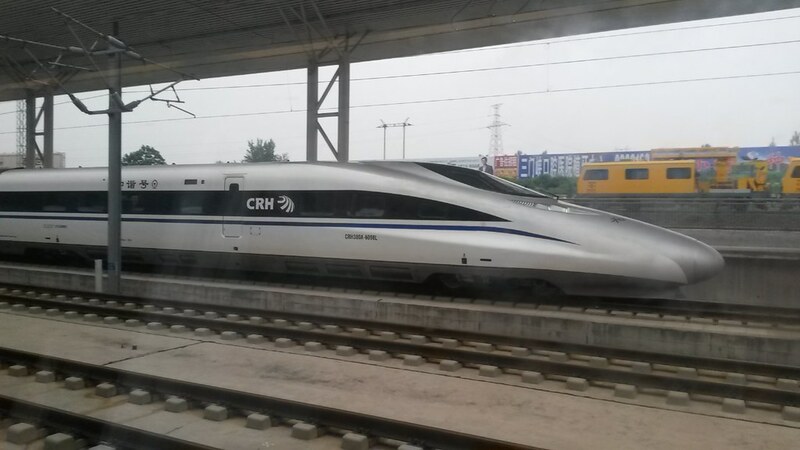 After a bit of research it turns out that China has a large high speed train network. 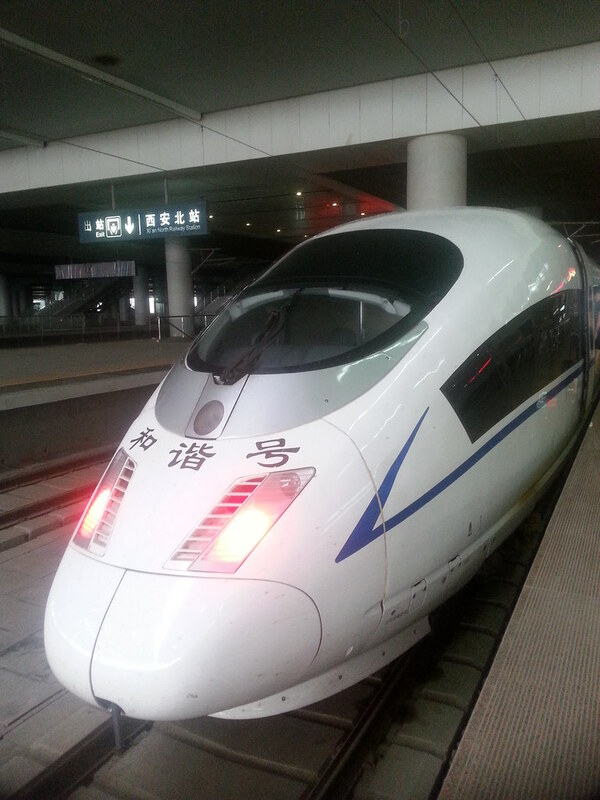 So I decided that one thing we should do in China was take one of these high speed trains. With nothing more to do in the west of China we decided to go to Hong Kong. This was a practical necessity as well, our visa was a group visa for Tibet and couldn’t be extended. We didn’t have enough days to see everything we wanted in the east of the country so we’d have to leave the country and get another visa. Hong Kong is the only practical place to do this. 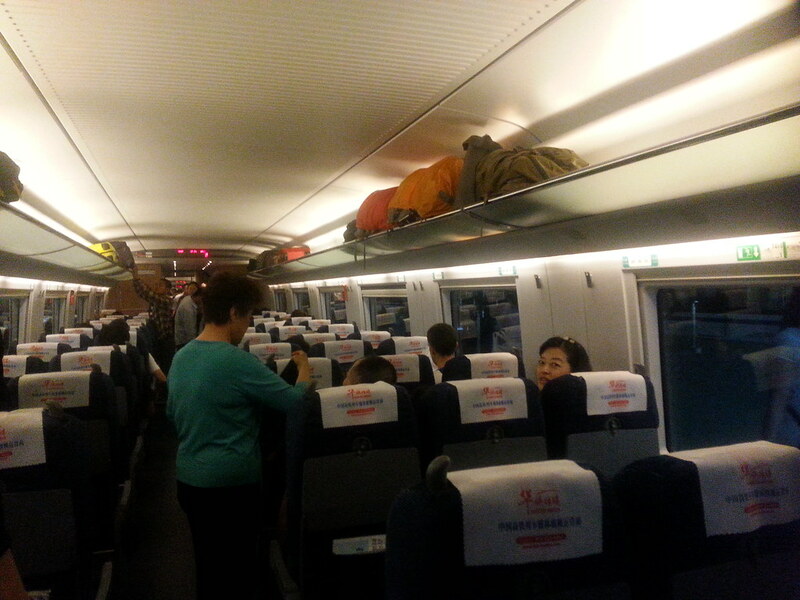 Hong Kong is about 2,500km by train from Xi’an, another long overnight train or a 9hr trip during the day. We picked the latter. At the train station buying the tickets we really fulfilled the stereotype of the rich westerner. The place was heaving with people buying tickets and everyone had a few bank notes on their hands. Usually a couple of 10s or 20s. They were buying tickets costing maybe 50 Yuan (£5). 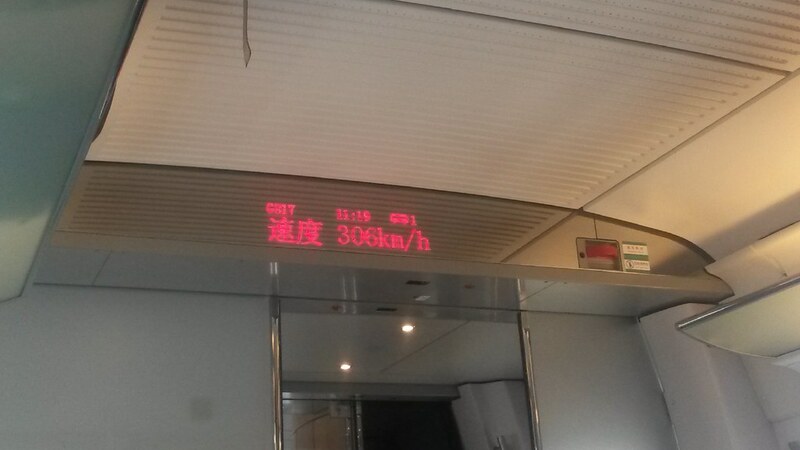 Our high speed train cost 900 Yuan each (£86). We handed over a huge wad of 100s and got out fast! The high speed lines don’t go to Hong Kong, which is why they’d never come up in my search for trains. But on the border of Hong Kong is the city of Shenzhen and the high speed line terminates there. The train station is connected to the border by metro. Then over the border in Hong Kong is the MTR network which would get us to within 500m of our hotel. Perfect. The high speed line left from a different station to the one we’d arrived on. It was a 30 minute ride on the Xi’an metro. I really like cities that have metro networks, it makes getting around really stress free and simple. The station was very modern and large, built from lots of shiny metal and with shiny stone floors. Even better, no passport check on entry to the station so it very quick to get in (usually there’s a passport check, bag check, body check then ticket check just to get into the train station. Not including the other ticket checks to get to the platform and to get into the train). 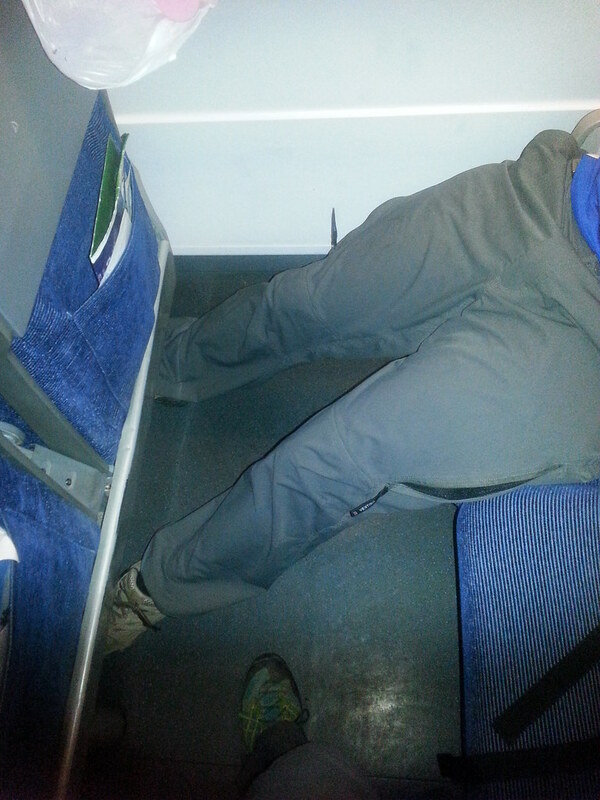 We got onto the train and found that unfortunately little money had been spent on comfort. The seats were very firm and not exactly comfortable. But the huge amount of leg room more than made up for it. We had tons of space! For the rest of the day we sat back and enjoyed the view as we glided through the country about 300kph. The Chinese countryside is beautiful. It’s so green and forested. The hills are almost vertical and wooded and look good. It’s a country where we really can just look out of the window all day. What makes this an even more impressive feat of engineering is that most of the track is raised about 20m above the ground on huge concrete struts. That’s a 2,500km journey, mostly raised off the ground. And this is just part of the high speed network! That must have been mindblowingly expensive! We arrived in Shenzhen and quickly found the metro which would take us to the border. On the escalator coming up from the platform there were actually signs saying Hong Kong. I’d hoped it would look like that. We followed the Hong Kong signs through the station to a border checkpoint. This took longer than it should’ve! It took 4 immigration officers to check our documents and still they didn’t know what to do. Eventually we had to stand at the side and wait while they made enquiries. As the documents had got us into Tibet and had been checked about 50 times whilst in Tibet there was obviously nothing wrong with them, it was just the border control people not knowing what to do. It’s an official government document, getting checked by official government employees. There should be no problems or confusion. Annoying! Especially when they make you feel like it’s us in the wrong. Once that was cleared we found an ATM, got some cash and bought tickets for the MTR. Then down the escalator to the waiting train which took us into the heart of Kowloon and 500m from our hotel. Door to door was just under 12hrs in total and we covered over 2,500km. A good day!